Welcome to Highmead Cattery in Swindon. We are situated in Kingsdown Lane, Blunsdon just off the Turnpike roundabout and have great access from Swindon and all its surrounding areas. Set in a rural setting the cattery is surrounded by fields and open countryside and we believe there is no better place for your cat to have a peaceful and happy holiday. Established in 1999, we are a family run business who pride ourselves on offering a very personal and friendly service for your pets. 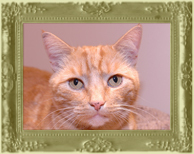 We are a fully licensed cattery and offer excellent accommodation for all our furry feline guests. There is a large parking area to the rear of the property dedicated to our customers only. With over 15 cats ourselves, we understand that your cats wellbeing is the most important thing to all owners, so we treat all of our guests the same as we treat our own pets, giving them guaranteed daily playtime and affection. You are very welcome to come and view the cattery prior to making any bookings as this is as important to you as it	us that you are happy with our facilities.